"I’m really happy I made the change! I feel like I can make an impact here. And I love being around so many like-minded people." "I had a specific program in mind that Principia did not offer (sports management) and was excited about playing DII sports, so I decided to attend a mid-size state school. My freshman year went fairly well, but by sophomore year I decided to make a change. The sports management program wasn’t very strong, and making friends among 10,000 students was not what I expected. I narrowed my choices to two options and, ultimately, picked Prin. I felt that a business degree here would prepare me for my career and recognized that I’d receive a lot of individual attention from the faculty and staff." "My professors are really accessible, and some even set up meetings to get to know me better. That would not have happened at my other college. The academics here are challenging, and the faculty really push you to be the best student you possibly can be. But it’s a supportive learning environment—from the faculty to my classmates." 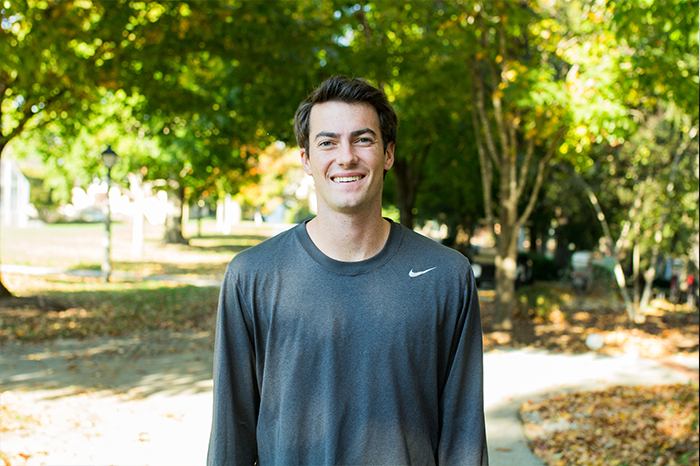 "I transferred mid-year, just in time to go out for baseball. I made instant friends with my teammates and learned so much on the field. As I look at the athletic experience some of my high school friends are having at other universities, I can honestly say I’m having an outstanding experience here. For example, I had more collegiate at-bats during my first season than all my high school friends combined." "The opportunities here are immense. I love how students attend each other’s athletic events, and the social activities are creative and fun. We have a great time!" "You can make your own experience here. If you come to Prin, I think you’ll find many people here you’ll connect with. Even though larger colleges may have a bigger pool of friends, the quality of the friends here is amazing."